With underwhelming, status quo entries like last year’s Avengers: Age of Ultron and Ant-Man, superhero movies have been in need of a shake-up and it seems that Marvel found just the man for the job. 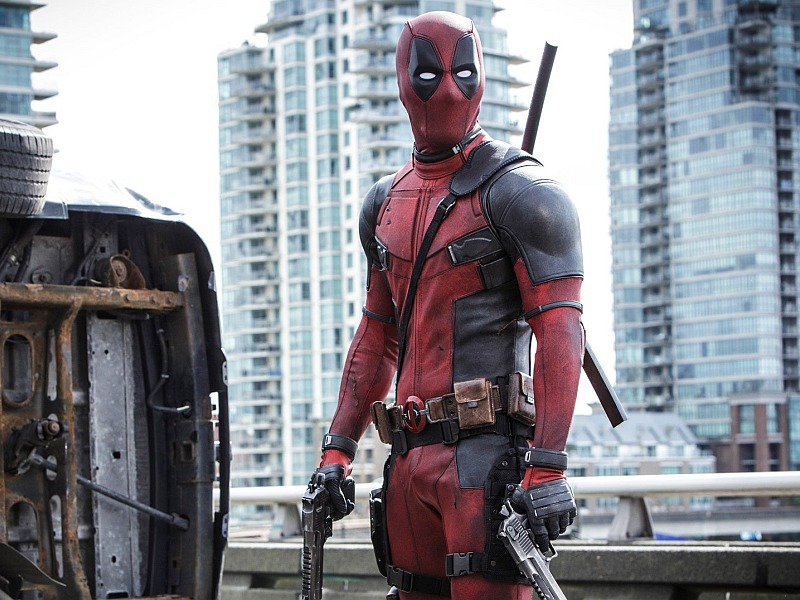 Production history for Deadpool dates back to 2004 but after VFX footage “leaked” online 10 years later, the project took off quickly and generated a healthy amount of buzz among comic book fans online. Now we have the finished film, which succeeds as both a hilariously vulgar send-up of the genre it inhabits and an engaging action movie with a deft visual style that’s all its own. Ryan Reynolds is perfect in the title role: a wise-cracking, foul-mouthed mercenary with a pension for breaking the fourth wall and a never-ending supply of self-referential in-jokes. He begins the story as Wade Wilson, whose terminal cancer diagnosis brings a prosperous, year-long relationship with his girlfriend Vanessa (Morena Baccarin) to a screeching halt. Desperate for answers, Wilson agrees to enlist in a shadowy genetic research program under the supervision of a mutant named Ajax (Ed Skrein) with the hope of a cure. The experiment causes Wilson to be permanently disfigured and when Ajax leaves him for dead, he takes on the alias Deadpool and vows vengeance on his malicious captor. That may seem like a downer of a setup but make no mistake: Deadpool is hands down the most comedically successful superhero film that I’ve seen so far and it will likely go down as one of the year’s best comedies. With the exception of his ill-conceived inclusion in the dreadful X-Men Origins: Wolverine (during which his mouth was inexplicably sewn shut), Deadpool was a character of which I had little foreknowledge when going into this movie. Together, Reynolds and first-time director Tim Miller have created what feels like a zero-compromise realization of everything that makes the comic book character special. Beyond achieving an admirable level of cheekiness throughout the film, Miller also manages to tell a compelling superhero origin story and portray a convincing romance at the same time as well. In addition to the narrative elements, he also excels at shooting breakneck paced and yet visually comprehensible action scenes that benefit greatly from his previous work as a visual effects artist. He gets off to a great start with an opening credit sequence that not only has some hilarious, self-aware bits of humor but also works as a richly detailed, labyrinth style tableau that weaves effortlessly through a convoy car mid-crash. Still, Reynolds deserves so much credit here for his commitment to this character and to the project as a whole, for which he also served as a co-producer. So much of this film rides on the personality that he provides and his winning combination of deadpan sarcasm and razor-sharp wit prove to be a formidable foundation upon which Marvel will likely look to build a new franchise. Its success may spawn inferior sequels that quickly wear out their welcome but for the time being, I’m comfortable saying that not since The Avengers has there been a more entertaining superhero movie than Deadpool.